Chaise lounge •	Traditionally classic Chesterfield design with an added 'wow' factor showcased by a soft matt velvet fabric that will make for a stylish addition to any living space •	Vintage looking buttoned back. •	Pocket sprung seats offer exceptional levels of comfort. 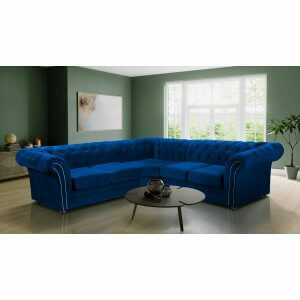 •	Upholstered in eye-catching soft matt velvet durable polyester fabric. •	Wooden feet add a traditional style to this piece of furniture. •	Fully compliant with UK fire regulations. 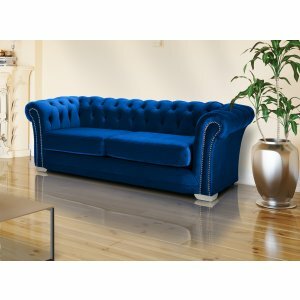 • Deep buttoned beautiful Chesterfield sofa. • Hardwood frame, high-density soft foam seating. • Luxurious soft velvet style durable polyester fabric • Studs and chrome feet. • Available in 3, 2, 1 seat. 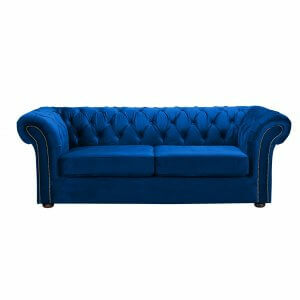 • Deep buttoned beautiful Chesterfield sofa. • Hardwood frame, high-density soft foam seating. • Luxurious soft velvet style durable polyester fabric • Studs and chrome feet. • Available in 3 and 2 seat. •	Made in a soft matt velvet durable polyester fabric that gives extra comfort. •	Vintage looking buttoned front, arms and back. •	Velvet finish is used on all main wearing surfaces and is both durable and soft. •	Hardwood frame providing great support. •	Wooden feet add a traditional style to this piece of furniture. •	Fully compliant with UK fire regulations. 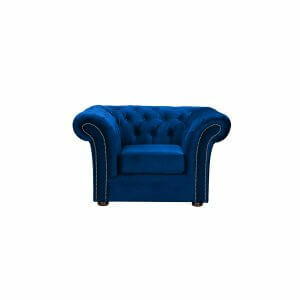 • Deep buttoned beautiful Chesterfield sofa. • Hardwood frame, high-density soft foam seating. 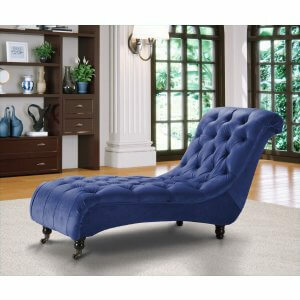 • Luxurious soft velvet style durable polyester fabric • Studs and chrome feet. • Please note that those are last items in stock in this colour! 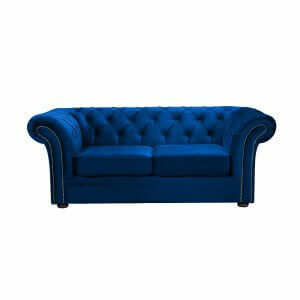 • Deep buttoned beautiful Chesterfield sofa. • Hardwood frame, high-density soft foam seating. 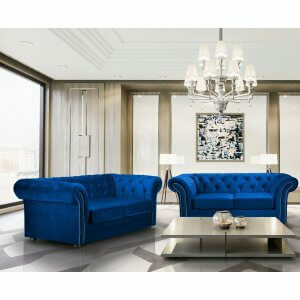 • Luxurious soft velvet style durable polyester fabric • Studs and chrome feet. • Please note that it is the last item in this colour!